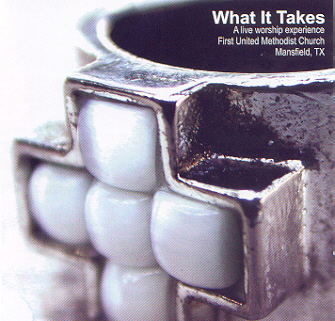 Recorded in September of 2005 in the sanctuary of First United Methodist Church, Mansfield, TX you can feel the energy as the crowd of 800 plus responds to the band’s renditions of some of the most popular praise and worship songs out today. Three of Brad’s original songs are featured here as well as a Bob Dylan classic. Also included are moments of Brad’s personal testimony and some heckling from the Senior Pastor. There’s also a sweet drum solo from Ron McCranie on track 14 that you should check out. The group consists of a 30 member choir, 5 piece horn section, 8 piece band and 7 vocalists. Dude, this thing is huge and a little out of control. I love it!